Saturday we took a big team to the beautiful Manor of Groves hotel in Sawbridgewoth for Michael & Varara’s big Greek wedding, 295 family & friends, very laid back affair, apparently Greeks are always late I was told but didn’t quite believe it until I witnessed them arriving over a period of about 3 hours! Lots of food, dips, olives, breads, fruit, veg and cake, on top of the beautiful meal Dan and the kitchen created! Lots of alcohol and lots of dancing, from young to old, they kept their traditions going all night! 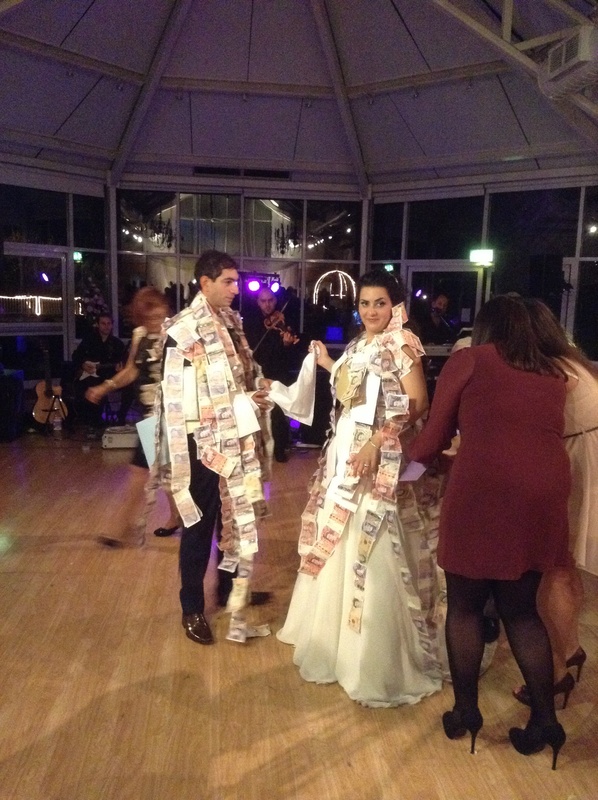 When they pinned money on the bride and groom, Tom said he’d never seen so much cash in one place! Well done to everyone who worked very hard as always! When we looked at the bookings we had for this year, June always looked busy but September looked scarily so! Last September we had 4 jobs, this we’ve had 12, and with big numbers to add to the ask! But we’ve pulled it off almost, with a lot of hard work and a great team behind us! Well done one and all! 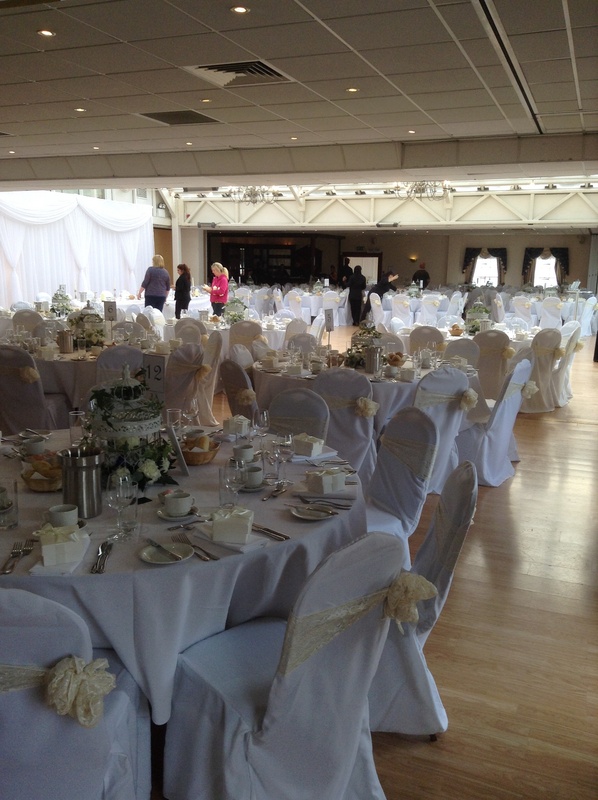 So this weekend takes us to the beautiful Manor of Groves hotel in sawbridgeworth for Michael & Varara’s wedding, Greek couple with 295 friends and family attending to celebrate their day. 3 course wedding breakfast being prepped by Dan and the team at the unit, braised Hereford beef with all the trimmings and another beautiful trio of desserts! With all that to serve could be a bit hairy at the pass! Report & pics to follow! It can’t always be fun and laughter at weddings for us, I have been distributing our funeral wake flyers this week around Herts, Beds & Bucks. 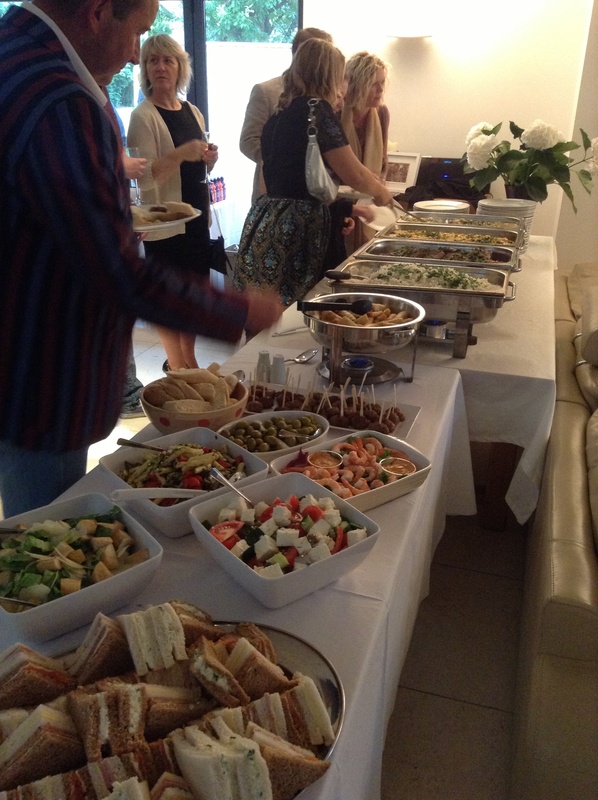 We believe Kingfisher offer a discrete, personal & professional catering option to families at a difficult time. The response I’ve had today from owners and managers has been very optimistic, they felt we had approached the market in the right way and were very happy to promote us. Our menus include a choice of sandwiches on flavoured breads, finger foods including Thai style chicken, salmon, dill & mascarpone encroute and roasted vegetable & goats cheese tartlets. Also included sweet finger foods such as mini banoffee pies & chocolate & hazelnut brownies. Not your average curly sandwich and sausage roll buffet!! 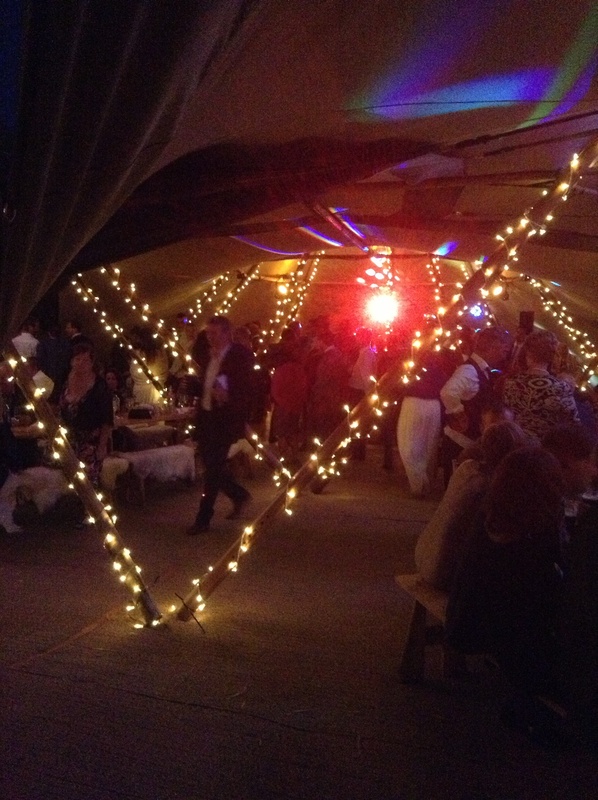 Lauren & Chris’s wedding Saturday in Wormley was a great success, lovely family, great atmosphere. Perfect Barbeque again cooked by John & Del, followed by a hog roast. Busy bar, even John took his whites off and mucked in serving! I received this from Lauren’s dad this morning, proves its not just me that thinks we get it right! Just a short note to say a huge thank you to you and Laura for making Lauren & Chris’s wedding day a most fantastic occasion. Feedback from everyone that attended, highlighted the quality of the sumptuous food & personal service that Kingfisher provided. It was highly professional and I would have no hesitation in using your services again. It enabled me to have an enjoyable and stress free day as Father of the Bride. Laura’s quality organisation on the day was of military precision, without being intrusive, and helped the event flow as it should. It was a delight to work with her. 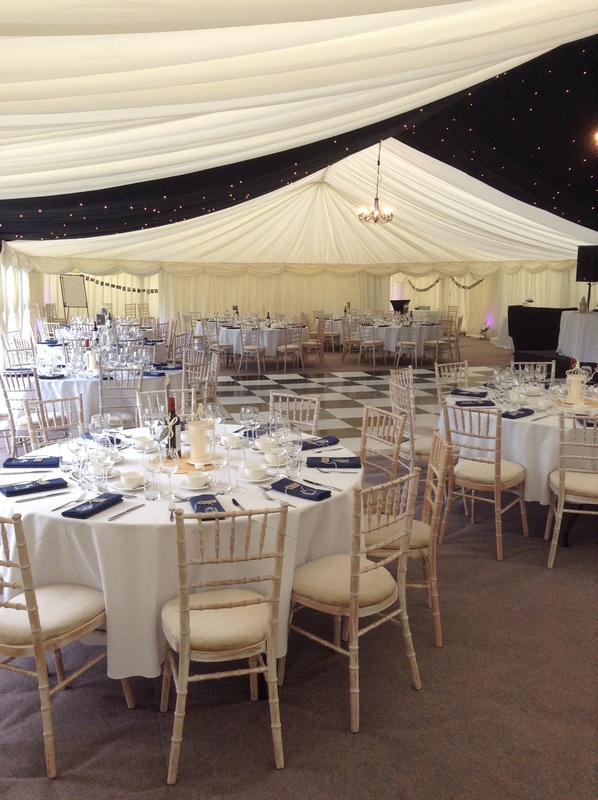 Another busy one for the KF team this weekend, Lauren & Chris’s marquee wedding in Wormley, 128 day guests, 180 in the evening, Emma’s wedding, 4 course dinner for 280 day plus a further 70 in the evening, and then Sunday a fork buffet lunch for 50 in Wheathampstead! Dan has been cracking the whip in the kitchens! John & MJ have so far made 300 portions of vegetable dauphinoise, 300 lemon possets in chocolate cups. Tomorrow 450 kebabs to prep, 300 sticky toffee puds & 450 portions of chocolate brownie! Go guys! Making my tummy rumble already! Wedding, Birthday Party & Christening! 3course wedding breakfast followed of Poached salmon and tiger prawn tian, lemon & parsley mayonnaise with Bloody Mary dressing, followed by roasted breast of corn fed chicken served with champ potato, warm salad of chorizo, green beans, peas & butternut with a Madeira jus. They then had their speeches, best man was Nigel’s son who started off by saying who could of possibly known him longer or better! Very true! Mini desserts and wedding cheese cake followed, perfect menu! 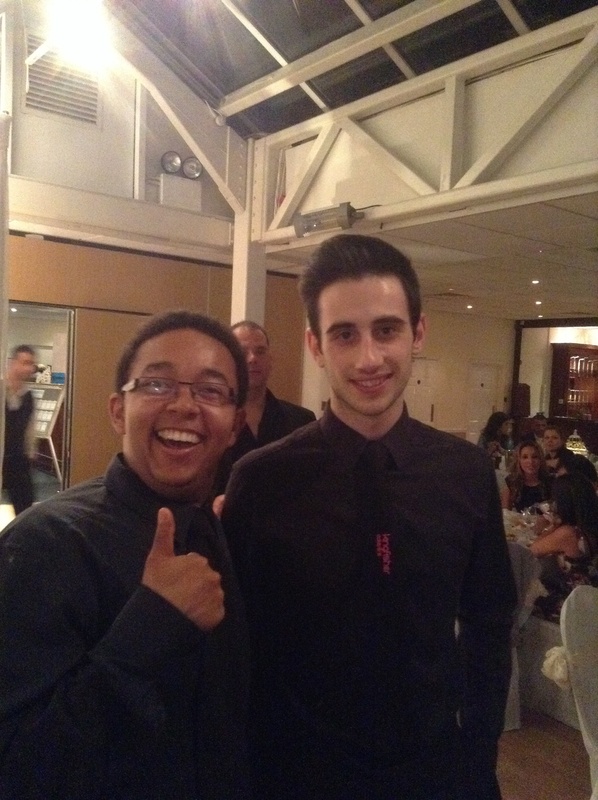 Team 2 went to Harpenden for Nicola’s 40th Birthday Party, Francis as usual made a great impression with all the guests, he really is a star! Sunday morning bright & early saw myself, John, jodie & josh off to Watford Angie & David’s youngest 2 daughters christening. Beautiful house and a lovely family. 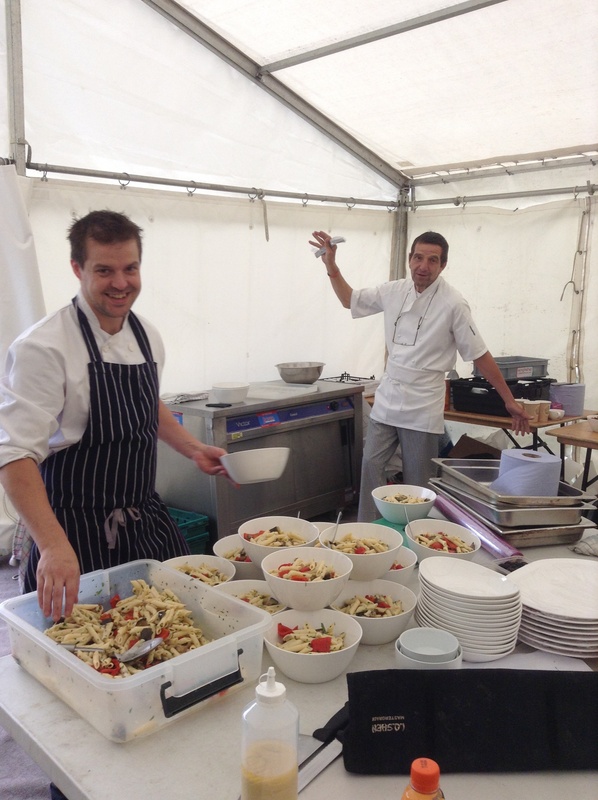 We had to battle the wind and rain but everyone enjoyed the fork buffet John prepared in a domestic kitchen for 65! They had Thai chicken curry, tiger prawn paella and Thai style sirloin of beef, chilli & ginger noodles. All accompanied with salads, breads and canapés. The whole family, lead by the 4 children did gangnam style infront of their guests, even Dad was persuaded to shake his booty! Great fun day had by all! Bright & early on Saturday morning 3 teams left Kingfisher HQ, with enough prepped food to feed a small army! 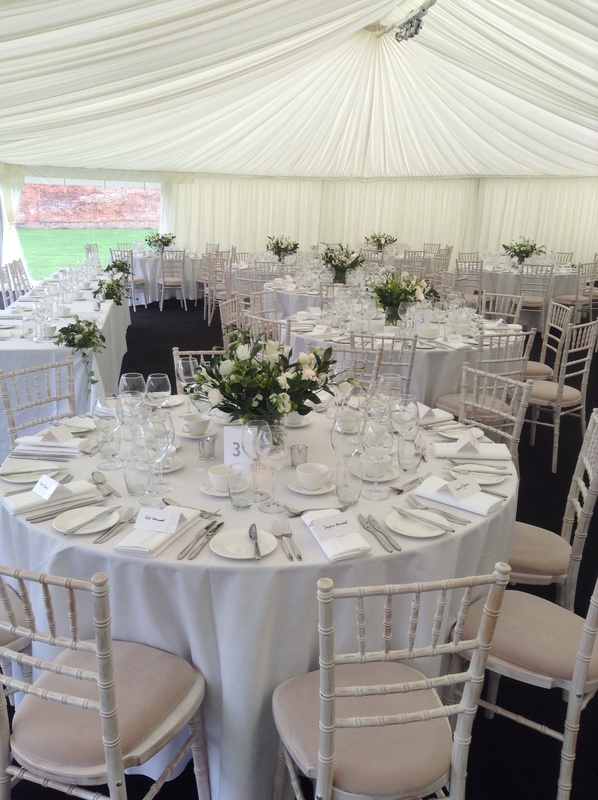 Sun shinning, Dan & Ian made their way to Masons Bridge Farm in Epping For Louise & Daniel’s wedding, 1500 canapés on board along with Barbeque skewers of Lemon & herb chicken, soy salmon fillets & Peppered steaks. 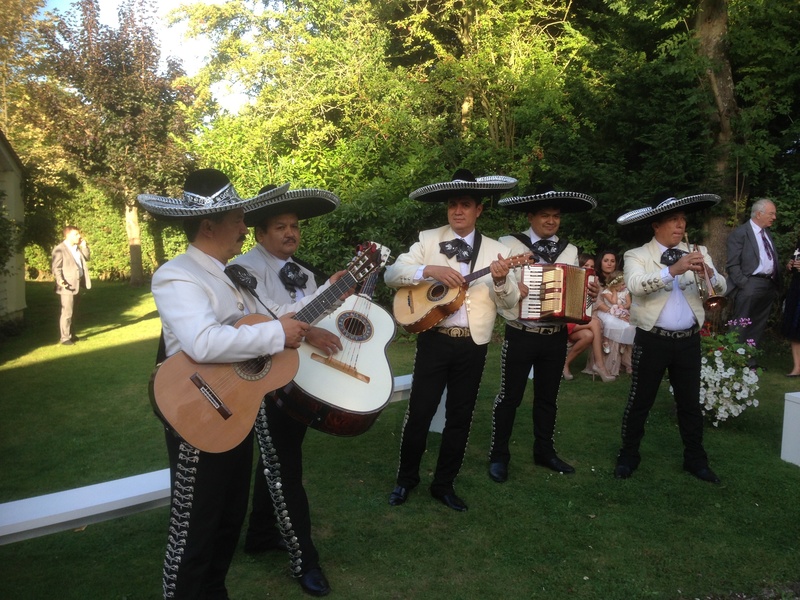 The ceremony took place in their parents garden, entertainment was provided by an authentic Mexican Band to which the bride & groom performed a very entertaining first dance! Great day had by all. Becca & her team were with James & Hayley at the Holly Bush in St Albans, the couple arrived in a vintage MG, which all the guests then wrote best wish messages on! What lovely touch! 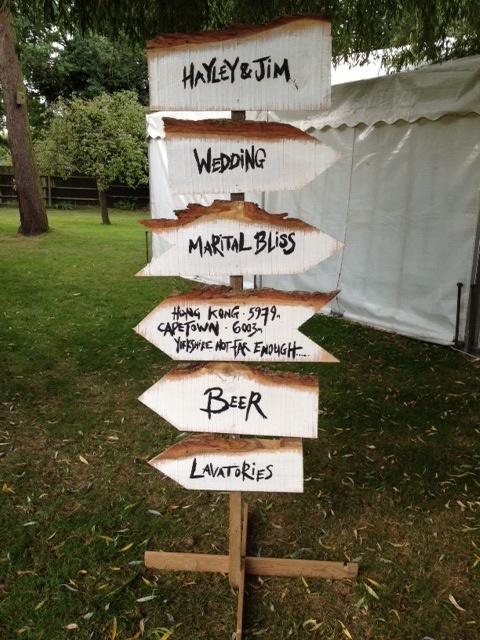 They had spent a lot of time on the details for the day, even making this very quirky sign! 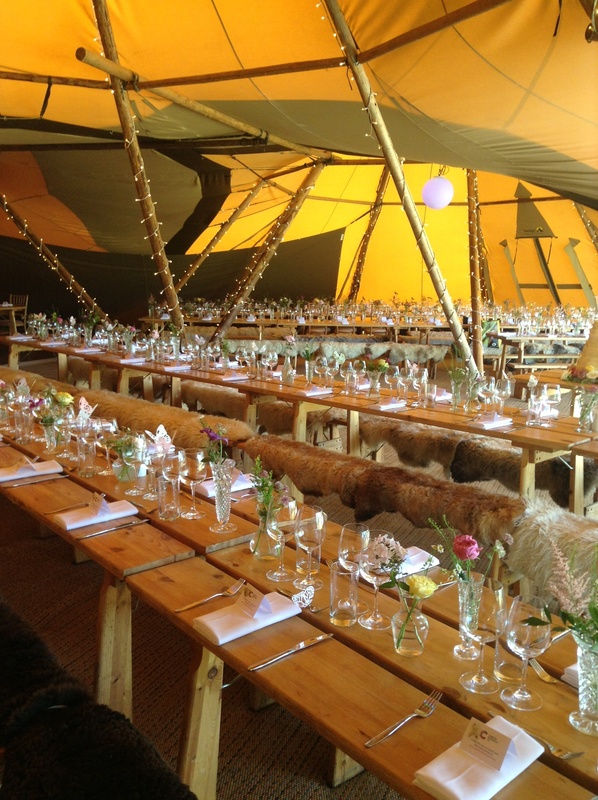 John, myself and team were back at the picturesque Brook Farm with Siobhan & Gareth for a beautiful Tipis Barbecue reception! Big Irish family who looked capable of drinking the 6 kegs of Guinness & beer we had! Ceremony took place beside the lake, followed by champagne canapé reception. Barbecue was served followed by a mini dessert platter to each table, yum! Dancing to the Irish band followed, the beer flowed and they partied hard into the early hours! Well done to Alex and Joel who were told how to pour the perfect pint by nearly every Irishman! 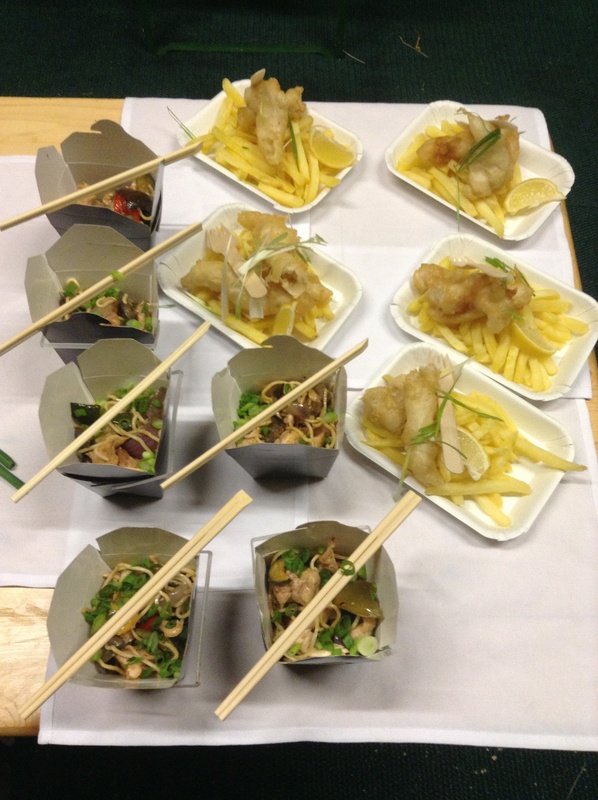 During the evening we served fish & chips and chicken noodle boxes, great evening choices to keep everyone going! So our first triple weekend went without a hitch, thanks to everyone involved, a lot of hard work, but 3 very happy couples who will remember their special day as we will for ever!